British Ambassador to Burma Andrew Patrick says the UK is stepping up efforts to support women’s rights and prevent sexual violence in the country. Last month the British Embassy welcomed Ms Angelina Jolie Pitt to Burma, in her capacity as Co-Founder of the Preventing Sexual Violence in Conflict Initiative (PSVI). During her four day visit Ms Jolie Pitt helped to highlight the vulnerability of women and girls living in protracted conflict situations to sexual violence, trafficking and other human rights violations. She was also able to raise with President Thein Sein and other ministers the steps that need to be taken to address the situation. Over the course of four days there were some things we saw that gave me great hope for the future. Most importantly the commitment of the civil society groups that are helping to tackle the issue. The growing emphasis on women’s participation in politics, the peace process and efforts to reduce inter-communal violence here in Burma was also encouraging. I saw first-hand the work civil society organizations are doing to ensure women have the skills, knowledge and are empowered to participate in elections and peace dialogue. There is still however a long way to go. There are some small signs of improvement in access to justice for survivors and accountability of the perpetrators. However, in too many cases no action is taken or, in the case of the military, action is taken behind closed doors. I was encouraged that the Defence Minister Lt-Gen Wai Lwin recognized that the military needed to do more to demonstrate it was taking these issues seriously. Sexual violence is regrettably a feature of all conflicts and almost all armies and armed groups. A modern and professional army however recognizes the issue and trains its soldiers in a way that reduces the likelihood of it happening. It also ensures that when incidents occur the perpetrators are swiftly brought to justice, and, importantly, seen to be brought to justice. An army demonstrates accountability and transparency by its public handling of such cases, and sets the tone of what behaviour is unacceptable. Although sexual violence in conflict is a particularly serious issue, the majority of cases, including in this country, are domestic. Burma’s legislation on much of this is over a hundred years old. That is why it is welcome that the Government is working on legislation upholding women’s rights. The “Prevention of Violence Against Women Law” is a key law which would protect women’s rights. However, it is worrying that the draft law does not include language on tackling sexual violence in conflict. A law without these provisions would lack a critical component needed to protect women. I know that Ms Jolie Pitt as Co-Founder of the PSVI initiative intends to continue her strong support to tackling these issues here in Burma. So will the British Embassy. Preventing sexual violence in conflict and supporting the rights of women and girls remains a high priority for the UK here in Burma and globally. In Burma we are stepping up our programme support for Women, Peace and Security activities. We will support two new centres that will help women and girls who are vulnerable to sexual violence—drawing on the success of the centre visited by Ms Jolie Pitt in Kachin. The UK Foreign and Commonwealth Office Minister Hugo Swire launched during his recent visit the International Protocol on the Documentation and Investigation of Sexual Violence in Conflict. The Protocol is a set of standards, drafted by over 200 experts from around the world, on the documentation of sexual violence as a crime under international law. It provides invaluable guidance to those working in this field. We are translating this into Burmese so that it can be used as a toolkit by those responding to these cases. No country can tackle these issues overnight. I can assure the many groups struggling to tackle this issue that you will have the UK’s long term support. 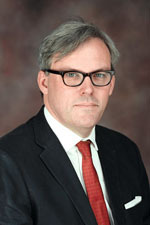 Andrew Patrick is the British Ambassador to Burma.